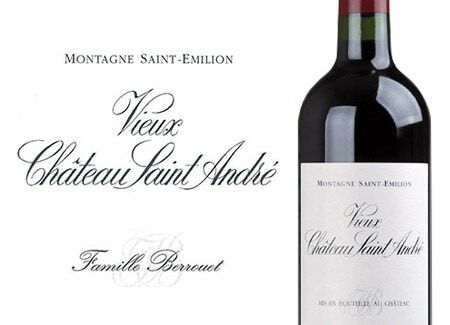 We are pleased to be shipping Vieux Château Saint André 2014 from Montagne Saint Emilion in Bordeaux. We tasted 2012, 2014 and 2015, and felt that 2014 was the most interesting and approachable and perfect to drink as soon as you pop the cork. Vieux Château Saint André is a relatively young project, but one that is full of pedigree. Vieux Chateau Saint André belongs to Jean-Claude Berrouet who was the winemaker at Petrus for 44 years until his retirement in 2007. Berrouet was recruited to be winemaker and technical director for Etablissement Jean-Pierre Moueix in 1964 where he was responsible for the production of their complete range of wines from Pomerol and St. Emilion. These estates included over a dozen properties among which were Chateaux Magdelaine, Trotanoy and Petrus. He carried out this role for 44 vintages. Berrouet retired formally from winemaking in 2007, but with the help of his son, Jean-François Berrouet, has continued to work as a technical consultant for wineries in Israel, Argentina, China and France. 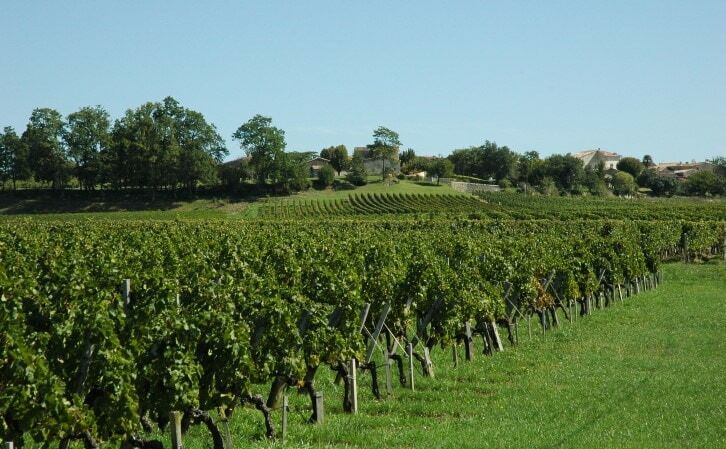 JC Berrouet owns the 8 hectare Vieux Chateau St-Andre in Montagne St Emilion, which he runs with his son Jean-François. Upon his retirement, Christian Moueix said “Jean-Claude Berrouet’s contribution has not only been lengthy, but also, immeasurable. With a lifelong passion in poetry as well as wine, his philosophy has been for the wines to express their terroir, always favoring elegance over extraction. The 8 hectare estate produces a wine that is a blend of 80% Merlot, 15% Cabernet Franc and 5% Cabernet Sauvignon. Cool, steely and pure. The fruit definition and poise on show is electric, even more so after an hour in the decanter. Fresh and so well made…you would expect little else from the former winemaker at Chateau Petrus. If you would like to order a case, at only £17.50 per bottle this is an absolute no brainer. You can order via our online shop, the wines will be arriving in the UK in June 2018.